This large 15 oz. ceramic mug is great for those looking for a large capacity mug. A large imprint area allows for plenty of space to customize. 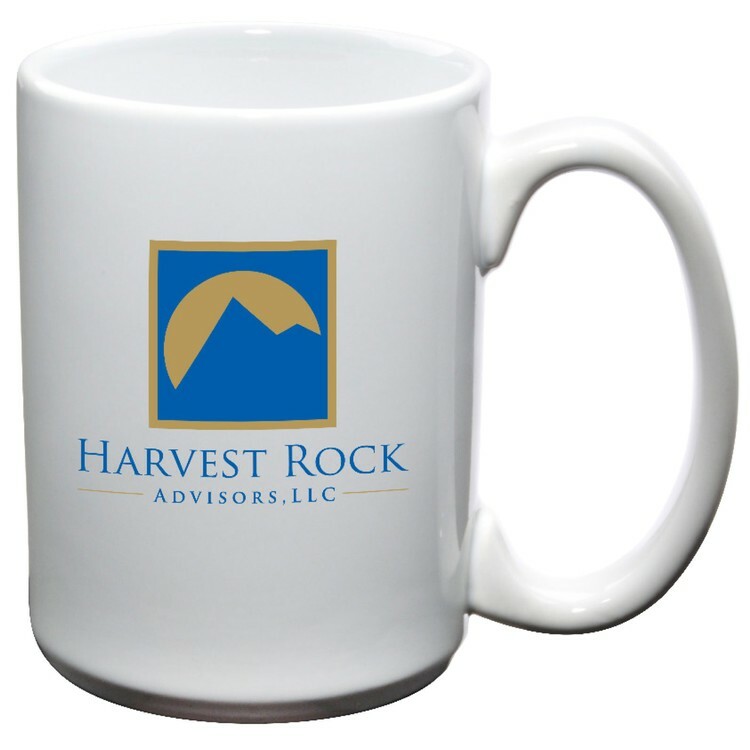 Whether this mug is setting on a desk or at a local gathering, it’s sure to be seen by many. THIS PRODUCT IS CURRENTLY ON SPECIAL. See Mega Special Pricing below. Price includes 1-Color, one side, two sides, or wrap imprint with setup charge.